These are being installed across platforms 10 to 14, leaving only platforms 6 to 9 without barriers. 6 and 7 are the Heathrow connect service so they don’t matter. my usual evening train leaves from 8 so no barriers there. however my morning train arrives on 10 so I expect huge queues to get through the barriers at peak times. 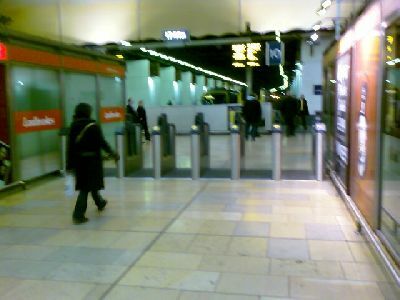 The picture shows the barriers between the Isambard Bar and Ladbrokes betting shop at the end of platforms 9 and 10.